Over the last couple of decades, Bend has turned into a year-round center of activities, eclipsing bigger cities to west and north. As the center of Central Oregon, Bend has cultivated an atmosphere catering to every type of activity. The Jones Group @ Sunriver Realty is safe in assuming that it is the diverse lifestyle and almost innumerable outdoor (and indoor) activities that have drawn you to the area to live. Skiing, Snowboarding, etc... When it comes to seasons and things to do, Bend seems to have one endless summer that often seems to morph into an endless winter. Located at the foot of Mt. Bachelor, a mountain that has a reputation for sending skiers to the Olympics, this winter wonderland caters to every type of sport. The powder is some of the best in the west, aided by the high desert air, and skiers, snowboarders, and snowmobilers flock to its slopes. Mt. Bachelor boasts 3,700 acres of lift accessible terrain, suited for both downhill and cross country events, as well as snowboarding and snowshoeing. This unique area is both a challenge for those seeking extreme thrill or beginners looking for a new experience. As if that wasn’t enough, kids ski free without holiday blackouts making this area very family friendly. Check it out. Snowshoeing. Nothing gets you a little off the beaten path like a bit of backcountry snowshoeing. Wanderlust Tours has three excellent offerings giving the hiker in you a look at this beautiful landscape draped in winter white. The first takes you in search of outdoor fun for all ages. Departing in the morning, with snowshoes, hot cocoa, and guide, this tour takes you into the crowd free areas of this amazing place. Take off in the afternoon for the same adventure with Bend’s famous micro-brews replacing the hot cocoa (kids get crafted root beer). If you time it right, Wanderlust Tours take off into the backcountry for a nighttime excursion on the several days around the full moon (and during non-full moon nights as well). 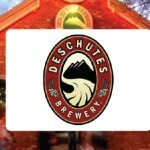 This is an amazing opportunity to see the night sky accentuating the incredible beauty of the surrounding Deschutes National Forest and majestic Mt. Bachelor. Because Central Oregon is bathed in so many days of sunshine, it seems to have only two seasons: winter and every other day. Golfing in Central Oregon can happen year round or as they say, any day that you are not at work. There are some world class courses that will challenge your skills located here or if you prefer, family friendly courses that will give your kids a comfortable introduction to the game of kings. Caldera Springs is one of those nine-hole courses that may be so much fun you’ll be tempted to put down stakes and buy a home there. Broken Top offers a Tom Weiskopf designed course that is both scenic and challenging. Like a throwback course, the kind that was as aesthetically pleasing as it was challenging, then you deserve to treat yourself to the fun at Sunriver Meadows. This course is easily accessible from any spot in Central Oregon, but more so from your own home just minutes away in Sunriver. It has also been home to USGA and NCAA competition. Like your golf in a true links, 72 par course? 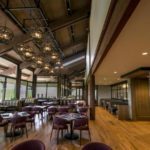 Consider Tetherow in Bend for a unique Oregon experience without the trip to Scotland. Biking, Hiking, and Climbing. 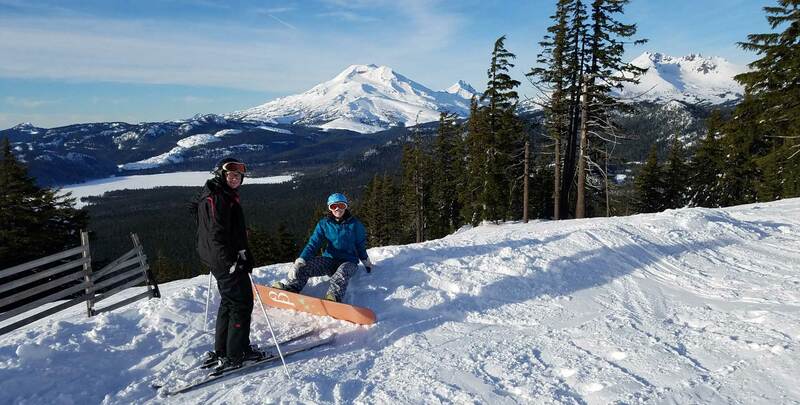 With so many diverse terrains available for every activity, a resident or visitor to central Oregon could begin to feel as though there simply isn’t enough time in the day. In a city where biking is considered a primary form of transportation, Bend hosts events all summer long that cater to this two-wheel passion. But it gets really interesting off-road. Phil’s Trail is a moderately challenging 8.8 mile adventure you won’t want to miss. Like something a bit more challenging and a lot more scenic? Grab your wheels and head out to Edison/Lava Lakes Trail, a 20 mile loop that will take your breath away, literally. If you would rather hike, the offerings in this area will captivate and invigorate the most hardened city soul. You have never experienced the outdoors until you have spent some time in central Oregon. While the options are innumerable, one of our favorites is The Newberry Crater at Newberry National Volcano Monument. It will pull you back time and again to experience falls, caves, and some of the most dramatic country you will ever see. To give you an idea of how large this monument is: Rhode Island can fit within the boundaries. Got a passion for climbing (and hiking and biking), look no further that Smith Rock State Park for one of the most amazing experiences for every skill level. This area has it all: climbing, hiking, biking, fishing and wildlife, all with the backdrop of huge rocks surrounded by blue water. This is a must-do when visiting the area. The Central Oregon area offers some great activities for those who are less active or simply want to take a day off. The High Desert Museum is one of those unique museums that can visited time and again. It offers a wide range of activities for all ages as they immerse their visitors in the natural and cultural experience of this unique area. Some additional museums of note are the Sunriver Nature Center featuring Saturday bird walks and the historical conservatory at the Des Chutes Historical Museum. Central Oregon is not just naturally beautiful, it is also a vibrant economic area. With numerous revitalized areas, such as the Old Mill District in Bend, downtown Sisters, and the antique shops in Redmond, the opportunities to take a piece of Central Oregon home with you abound. And then there is beer. Micro-breweries are as much a part of the Central Oregon lifestyle as the sunny weather. With over twenty breweries in Bend alone, this area has the perfect beer for you. Like your tour of these remarkable breweries to be a bit more organized: Take the Bend Ale Trail. One of the growing sports that can be less sport and more off a relaxing endeavor is paddle boarding. There are numerous shops catering to this activity around the Central Oregon area, one of which is located right on the Deschutes River at Tumalo Creek. The folks at Tumalo Creek Kayak & Canoe will give you the lesson you need to get started. They also rent canoes and kayaks. You don’t have to do much more than enjoy the sun and the water to enjoy any of these activities, all done at your own pace. Another easy outdoor activity that can be both relaxing and invigorating might be to take an easy walk (sometimes referred to as a hike) or a simple bike ride around the city (this is a very bike friendly area). Shopping in Bend and the surrounding areas can be an excellent way to relax. Poking around in the numerous boutique shops in the vibrant downtown area can be an incredibly fun way to spend the day. The charm of the Shops at the Old Mill District are not to be missed. And even better: it is all sales tax free! If you revel in all of the outdoor options this beautiful part of the country offers, you will need to relax at a world class spa, indulging in Central Oregon’s high desert rejuvenation visit at Spa Brasada or perhaps massage at Sage Springs Spa right in Sunriver. Like all thriving areas, music make up a distinct part of how Central Oregonians relax. It could be a world renowned stage artist at the Les Schwab Amphitheater or for a free summer concert at Drake Park or even enjoying music while you sip one of Oregon’s finest brews. Perhaps the Central Oregon Symphony is more to your liking. Whatever you do, don’t miss the Bend Music Scene. Relaxing in Central Oregon often involves sun and water, sometimes both at the same time. But this particular activity involves neither. In fact, because of the elevation of Sunriver, pitch dark surroundings (no ambient light from dwellings) and crystal clear sky (the night time benefit of 300 days of sunshine), looking upward to the night sky is simply breathtaking. One of the best stops for everyone in the family is the Oregon Observatory at Sunriver. Staring into deep space is like peering back in time. You will be able to see faraway galaxies, stars, nebulae and possibly even a meteor shower. Because every night is different, I highly suggest you visit as often as time permits. Reasonably priced for both adults and kids, this non-profit observatory holds some of the most spectacular views in all of Central Oregon. First time visitors to Central Oregon are often amazed at the diversity of this high desert area. Central Oregon is bursting with excellent choices to fit every taste. Here you will find our top choices for eating and drinking in these central Oregon towns. Join us right on the Deschutes River in this beautiful location near Sunriver Resort. Off the beaten track, this location offers breath-taking scenery, lively atmosphere and delicious Mexican-Peruvian Nouveau cuisine. Seasonal hours, call to reserve a table! 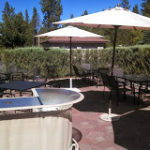 Located at 17430 Deschutes Road, Sunriver, OR 97707. (541) 593-8880. Open for Lunch and Dinner. Marcello’s offers an extensive menu of contemporary and traditional Italian food, with a Northwest twist…ranging from pastas & hand tossed pizzas, to salmon & filet mignon. 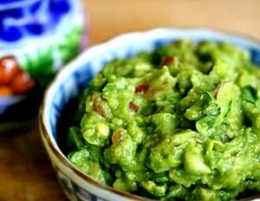 Our dishes are made to order from the freshest possible ingredients, locally obtained whenever possible. Because we make your dinner to order, food allergies and other dietary restrictions are easily accommodated, and gluten-free pasta is available. 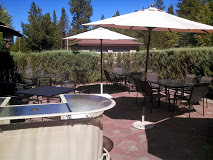 Located at The Village at Sunriver-57031 Ponderosa Rd. Sunriver, Oregon 97707. Phone is 541-593-8300. Hours are Monday- Saturday 4pm-close, and Sunday 5pm-close. Carson’s American Kitchen is a lively restaurant and gathering place offering satisfying American fare and spectacular views. With a Pacific Northwest sensibility, Chef Travis Taylor’s seasonally-driven menu is a whimsical, fun and delicious dining experience for everyone. 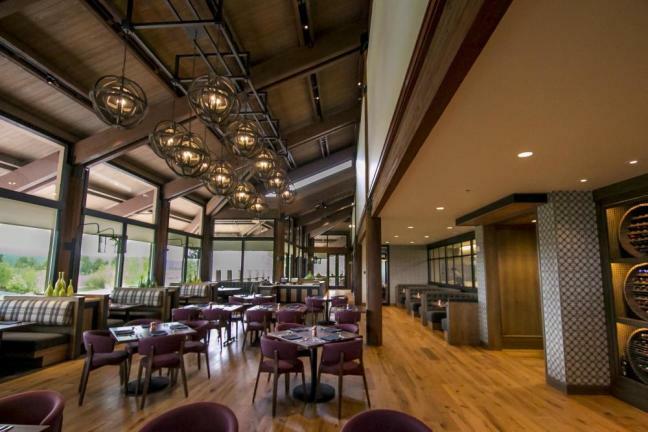 Carson’s American Kitchen is open for breakfast, lunch, and dinner and is located in the Sunriver Resort Main Lodge. Breakfast- 7:00am-11:30am. Lunch- 11:30am-5:00pm. Dinner- 5:00pm-9:00pm. Sunday Brunch- 7:00am-1:00pm. Call at 541-593-3740. We hesitate telling you about McKay’s Cottage because it is our favorite breakfast spot in Bend. This highly recommended spot is a favorite among the locals. Don’t pass on the opportunity to have the French Toast Croissant, the house made pastries or the exceptional Bloody Marys. Reasonably priced with hearty portions, this eatery is perfect for lazy Saturday mornings or weekday meetings. 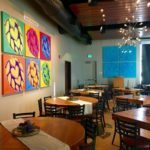 Serving American Contemporary Cuisine located at 62910 O B Riley Rd, Bend, OR 97701-8697 541-383-2697 – reservations accepted. 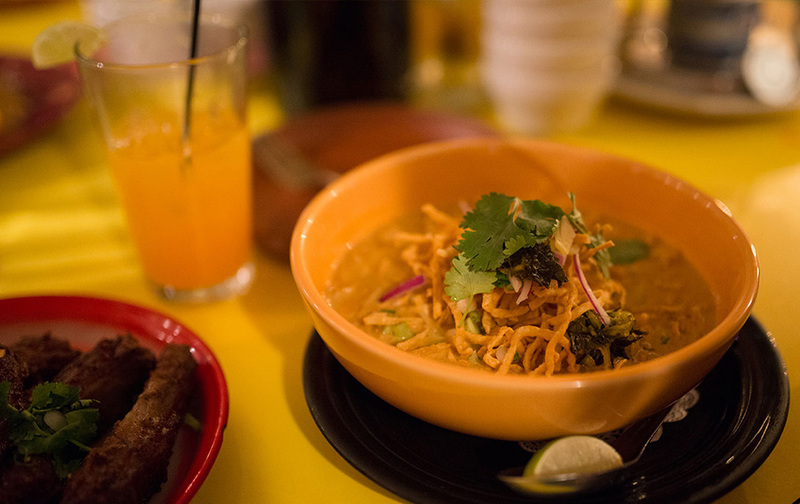 Wild Rose Northern Thai Eats is quite different than your typical thai food. The most significant difference is every meal is served with “khao niew” which is a sticky jasmine rice meant for eating with hands. It’s a communal style restaurant, so you can chat with strangers, and get to know the people around you. 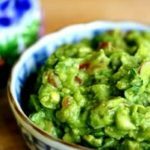 Dishes are prepared for sharing, so you can mix-n-match flavors, and made from the family recipes of owners who take very much pride in their dishes and restaurant experience. Located at 150 NW Oregon Avenue in Downtown Bend, and open for lunch from 11am-2pm Monday-Friday, and Dinner every day until 9pm. Open until 10pm Friday and Saturday nights. Billing itself as a place where ‘the mezze meets the mesa’ Joolz is a high desert gem offering authentic Lebanese food. We have never been disappointed with the exotic and adventurous offerings. Several must try dishes include the Forbidden Black Rice Chicken or the locally sourced Lamb Pitadella. Joolz also prides itself for their cocktails as well. Try the citrusy Moroccan Sunset. Serving Middle East Cuisine located at 916 NW Wall St 541-388-5094 – reservations accepted. 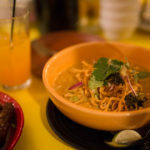 This quirky food cart turned 50-seat eatery, Spork has set itself apart from other Bend offerings with its locally sourced offerings and unique atmosphere. Their green sensibility and globally flavored cuisine has been lauded as the best restaurant in Bend. Be sure to try the Peruvian stir fried Lomo Saltodo or the Thai Steak Salad. They also concoct some of the most interesting libations to be found in Bend, including the Java Sour with pepper infused tequila. Serving International cuisine located at 937 NW Newport Av – no reservations but worth the wait; also open for lunch. Worthy Brewing is a newer craft brewery, but fast growing! They offer their craft beers on tap, a full menu, as well as event space for birthdays or special events. They are known for their fun parties and their observatory that you can go check out at night. The restaurant is family friendly, so you can make it a family night and go see the stars after eating their delicious pub-style food. Located at 495 NE Bellevue Drive in Bend. Open from 11:30 am-9pm Sunday-Thursday, and open until 10pm Friday & Saturday.